As mentioned in my previous post, Bugzilla and translations project setup were still pending. Another week, another hardware enablement project. I'm now the official substitute maintainer for libfprint, the fingerprint reader library, and we just had a new release! If you have a newer Thinkpad, with the UPEK Eikon II reader, grab the latest version, and don't forget to apply this patch to the control-center, or the enrolling UI will look bizarre. All those bug fixes and new versions coming to a Fedora update shortly. Urgh. After having been fighting with my ISP about connectivity problems, they announced that the problem I was plagued with (a bug in a Motorola UBR on their network) was fixed. I was still getting dropped connections though. Turns out the software on the provided D-Link DIR-615 is DIRe (see what I did there). Here comes DD-WRT. I followed the instructions from this forum post (just the “How do I install DD-WRT?” part), with a firmware grabbed from the DD-WRT website itself. After the initial setup, I also switched off 802.11B support, as the last device I have to require this is a Nintendo DS that doesn't even do WPA. This will give you a pb.vcf file with all your contacts. With the new device still missing a micro-SIM, I fixed a bunch of nautilus-ideviceinfo bugs. With the micro-SIM inserted, I activated the phone with Free Software. After setting up a minimal network, I sent my pb.vcf file to the new phone via e-mail, and reinserted all the contacts. Still plenty more integration to be done, though a visit to jailbreakme.com will make this easier. Some of us were discussing olden UIs during this year's GUADEC, including the original Totem UI. Searching through my old files, I found some interesting screenshots. That includes an early version of Soundbox, the predecessor to Rhythmbox (it was later renamed to Rhythmbox as the name Soundbox was already used by some piece of software). Also of interest, abc, the audio-CD burner equivalent of sound-juicer, a bonobo-ised version of Rhythmbox, early versions of Vanity (my Cheese-before-Cheese webcam tool), and instructions on how to flash my netBook (click the link, you'll be surprised). 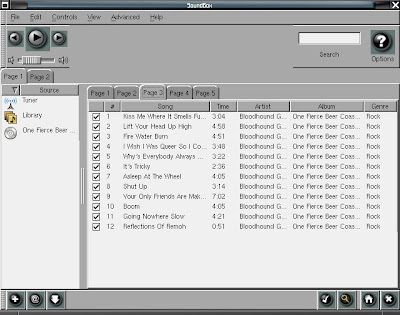 And a screenshot of Totem circa June 2002 (the first public release was in July 2002). 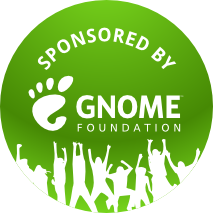 I forgot to mention in all my previous blog entries that my accommodation at GUADEC was sponsored by the GNOME Foundation. Thanks guys! 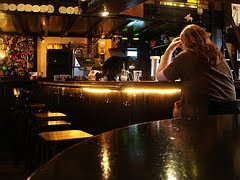 Got back from GUADEC on Saturday, and spent most of the week-end recovering. Probably a good thing, as I have loads of things on my TODO list, for either the Board, GNOME or Fedora. 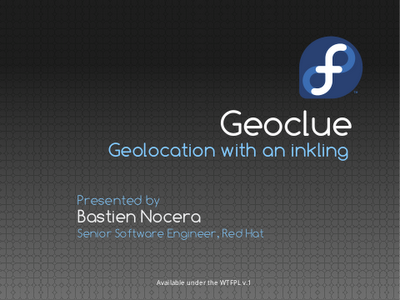 As per usual when I make slides, I end up going through them quickly, but the Q&A session was long enough for me to go into more details. No slides, for a change. I hope the videos will be available online soon.